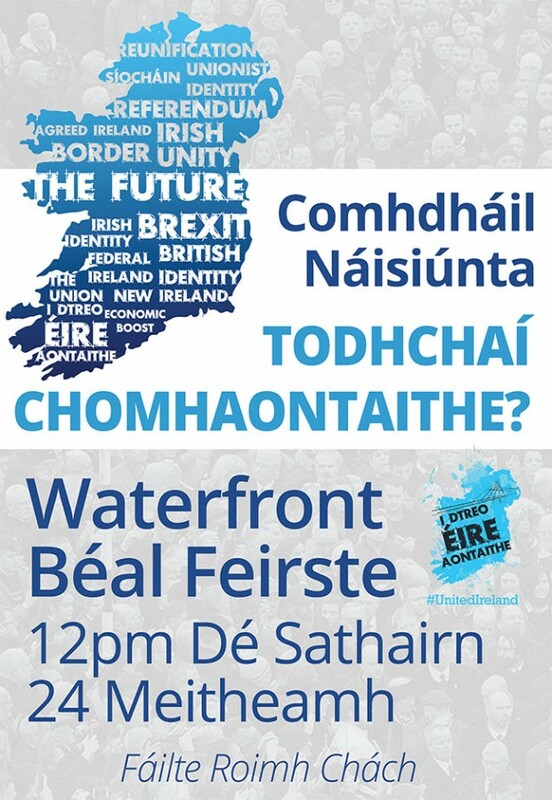 GERRY ADAMS has told a key conference hosted by Sinn Féin in Belfast that Sinn Féin is for a new Ireland “with symbols and emblems to reflect an inclusive Ireland, and that includes the safeguarding of British citizenship and recognition of the unionist identity”. 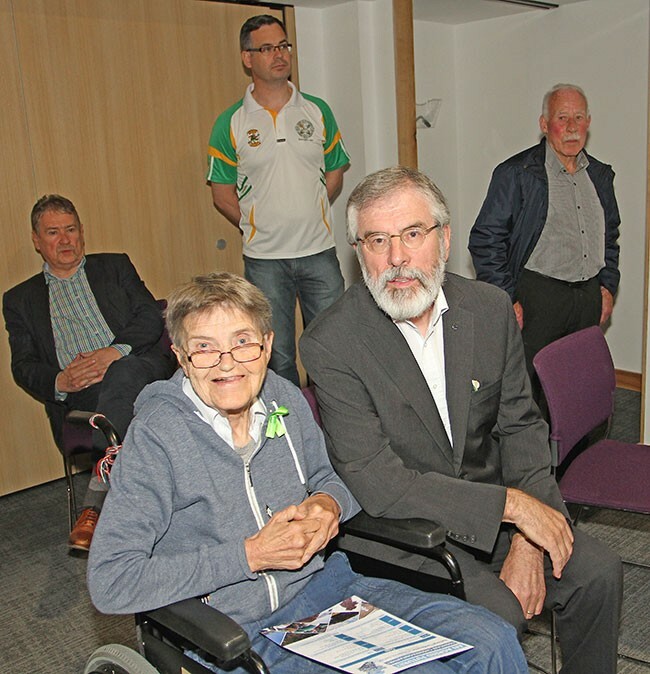 The Sinn Féin leader was speaking on the theme of “Let’s Talk About the Future”. 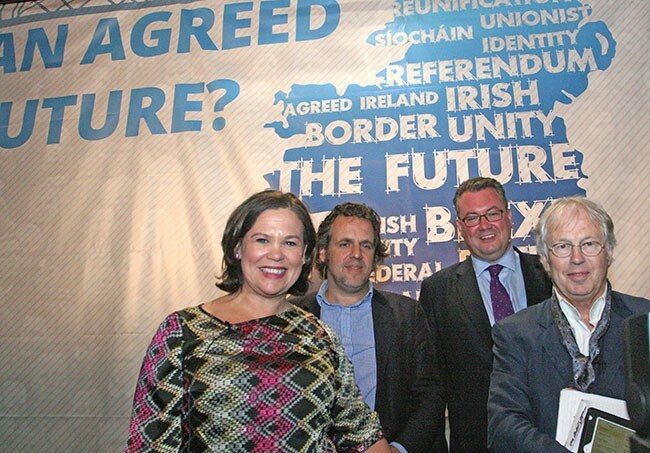 The former MP for West Belfast said that others, “specifically our unionist neighbours”, have a different view of the kind of future they want – a future connected to Britain rather than a reunited Ireland – and economic arguments alone will not be enough to sway unionists. “We need a new approach, one which unlocks unionist opposition to a new Ireland by reminding them of their historic place here and of the positive contribution they have made to society on this island. He said that the reality is that, in the 400 years of their presence on this island, Protestants – “and especially Northern Protestants” – have been woven into the narrative that constitutes the history of Ireland. “While that narrative has been at times a troubled one, it has also been dynamic. He said that one of the big issues arising from the discussion about a united Ireland is how do we create the circumstances in which a new Ireland can embrace every citizen on the basis of equality while respecting their political allegiance and their differing sense of identity? The Good Friday Agreement is binding on this, he said. It guarantees the right to British citizenship in a united Ireland. 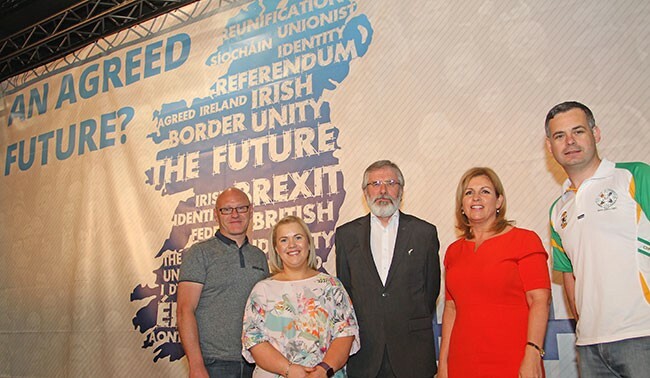 The Louth TD said that Sinn Féin is actively “encouraging” the Irish Government to establish a Dáil Committee on Irish Unity to develop proposals on what a united Ireland might look like. The Irish Government, Irish political parties, Irish society North and South, should consciously address “the genuine fears and concerns of unionists in a meaningful way”, he said. We must also look at what unionists mean by their sense of Britishness and be willing to explore and to be open to new concepts, he said. That includes the need to address the future role of the Orange Order, “its place in an agreed Ireland”, Gerry Adams said. “Of course, that is a challenge also for the Orange and I invite their leaders once again to meet with Sinn Féin. He said that unionist leaders, including genuinely moderate people, find it difficult to take public – as opposed to private – reconciliation initiatives or to publicly reciprocate to goodwill from republicans. “Martin McGuinness’s resignation letter and his concern about this should give thoughtful leaders of unionism some encouragement if they genuinely want to build a future based on mutual respect. He urged people to join the debate and organise their own forums to express their hopes, fears and aspirations, to explore ideas and views, for and against. 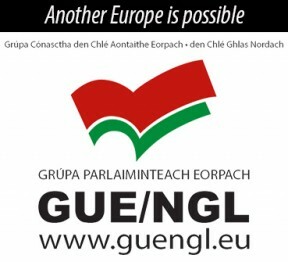 Others, including new voices in the unionist community, “will have opposing or similar views to us – let us hear them”. He noted that those who defined themselves as “British” in the Census were, for the first time in almost 100 years, a minority in the Northern state. “The days of leaving the debate on a united Ireland for another time are over. It can’t be done. The debate has already begun. “Intransigence, narrow-mindedness, the old ways will no longer work. “So, do we stay stuck in the past or do we move forward together?